As the integration of ICT into machinery and equipment grows steadily stronger, new and interesting business opportunities emerge. Sensors and machines in any corner of the world can transmit data and measurements to the cloud. You only need Internet access to do continuous monitoring, predictive maintenance and much more. If you want to harvest these new opportunities, you needpowerful, dependable and versatile connectivity all the way from sensor to cloud. Schildknecht offers you this connectivity via its DATAEAGLE 2730 Cloud series, a range of globally addressable gateways. And operating with universal eSIM cards validated by countless providers, they even give you global connectivity at a manageable cost. Sensors or machines send measurement data to the control unit or network for further use. 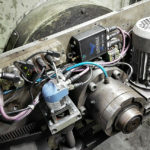 If you want to utilize the advantages of wireless connectivity on the control level, you need a radio link compatible with the communication technology used by the control unit, in most cases a fieldbus. The DATAEAGLE Compact 2730 modules are made for this. 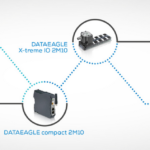 Schildknecht AG has developed the DATAEAGLE X-treme IO 2730 series for wireless horizontal field level data transmission. These devices enable to collect sensor and actuator data, machine data etc. at field level. They primarily handle data coming from simple point-to-point connections and stand-alone IO systems, well known and in widespread use in many production facilities. However, they can be expanded to handle large Mesh networks with hundreds of sensors. Schildknecht AG is the right contact for projects for bulding wireless sensor networks together with you.